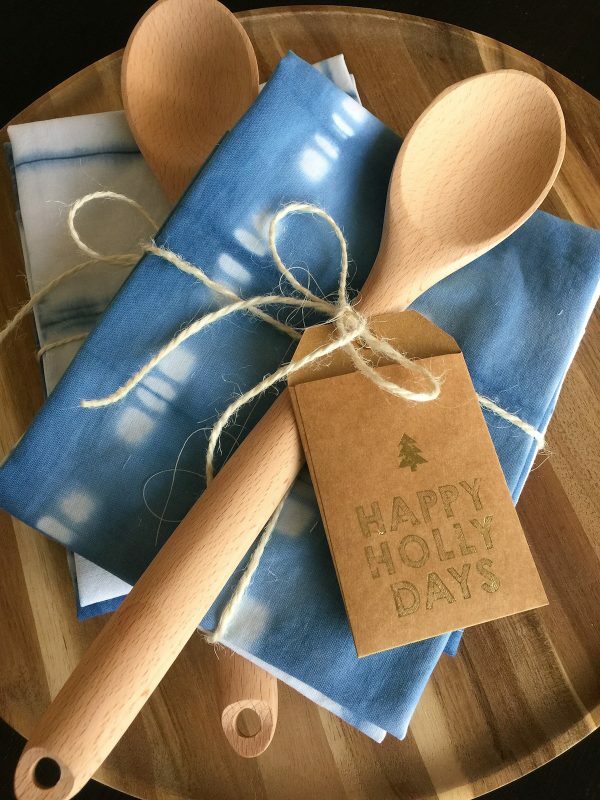 The holidays are fast approaching, and if you still need to find a few small gifts for people on your list (like teacher’s gifts), we have just what you’re looking for. 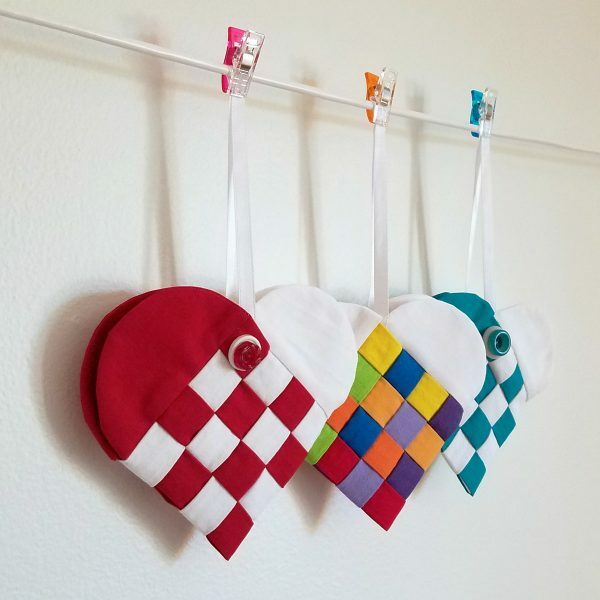 All of these sewing projects can be completed in an evening, and make wonderful handmade holiday gifts! 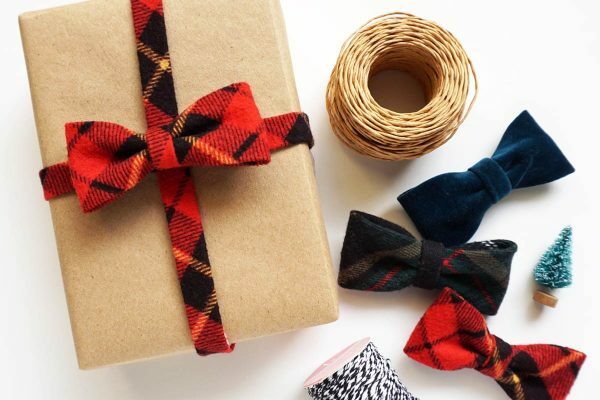 And just in case you’ve already checked off everyone on your gift list, we’re including some great ideas to personalize those gifts with handmade gift wrap. These handmade Shibori Dyed Tea Towels are a snap to sew together after dyeing! Or, use fabric of your choice and follow the simple how-to for finishing the edges. How big you want to create one of these rope bowls is up to you! 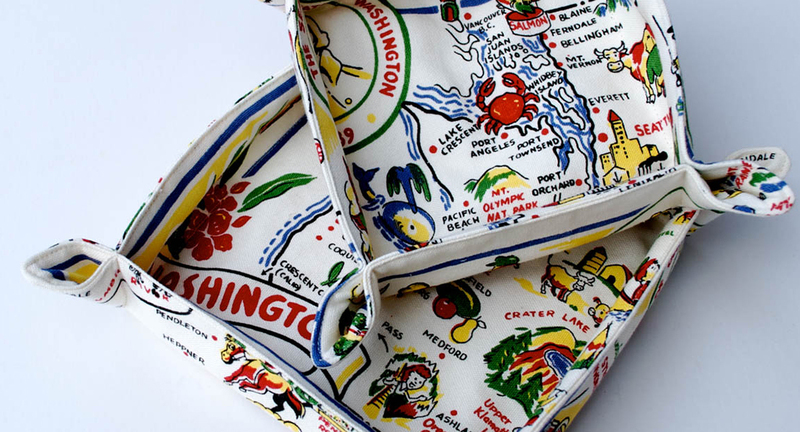 Learn how to Rock a Rope Bowl, and guaranteed you’ll want to make more than one. This big, comfy floor cushion is perfect for kids, and creates instant extra seating for movie night, or reading a favorite book. 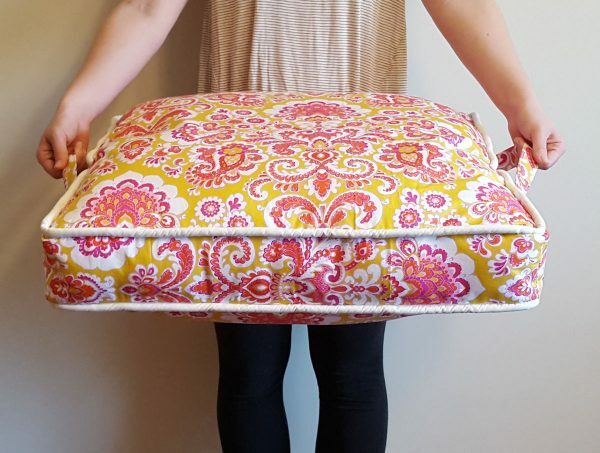 Find the Reading Pillow tutorial here at WeAllSew. 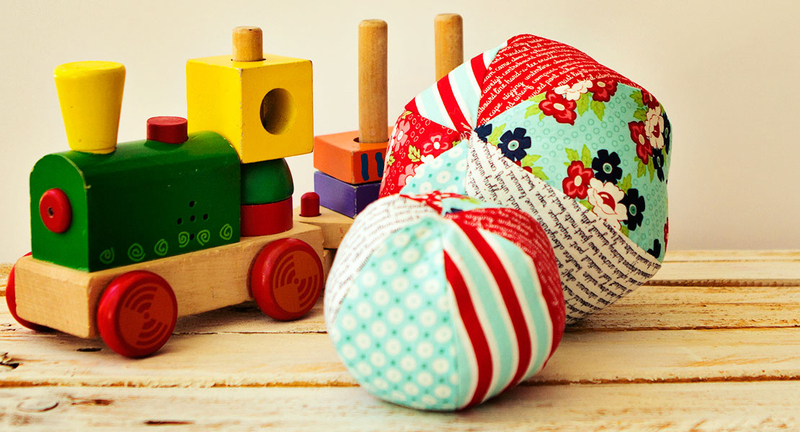 There’s nothing easier to make for a wee-one than a brightly colored soft and squishy Baby Ball Softie! 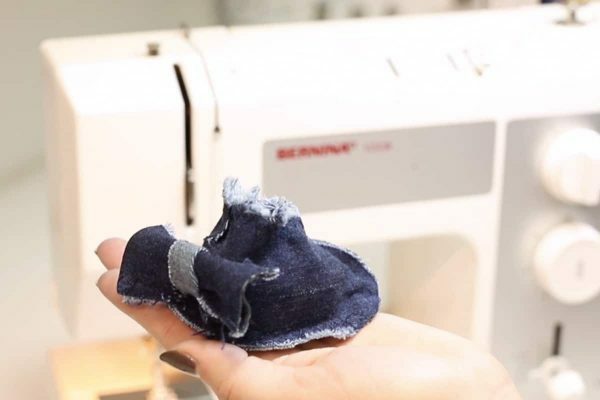 Use a few scraps of denim to sew a set of Denim Baby Booties, or use any heavyweight fabric like colorful canvas or duck cloth. 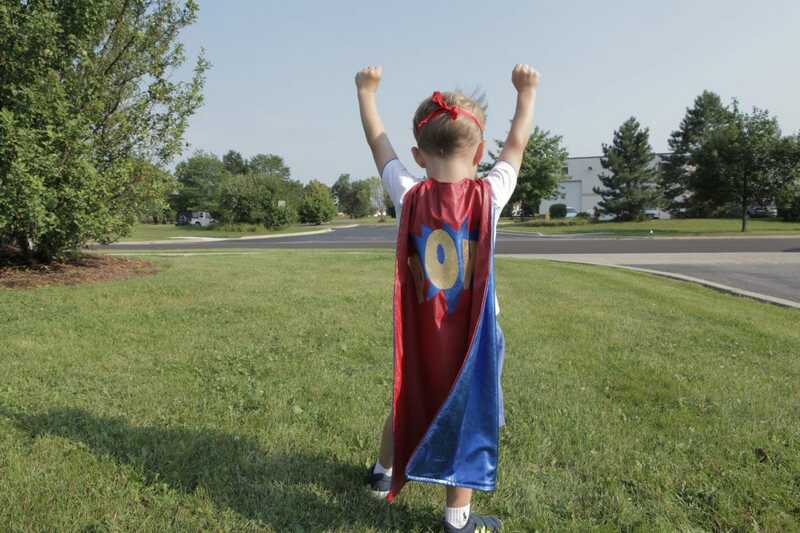 Make any kid feel super with this simple to sew Superhero Cape! Customize it with favorite super colors. 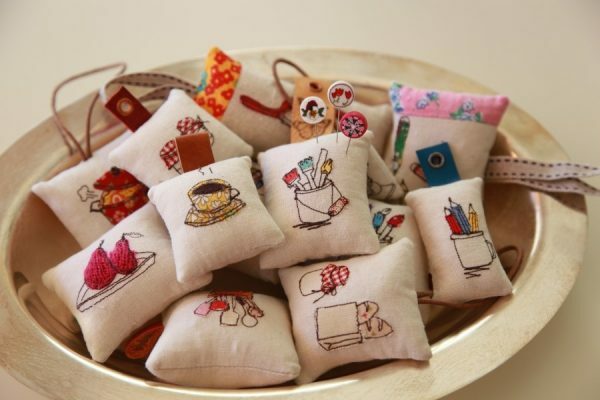 These sweet One-of-a-kind Pincushions are simple to make, and you can add a special appliqué to personalize this little handmade gift. This is probably the fastest, most practical and loved gift to make! 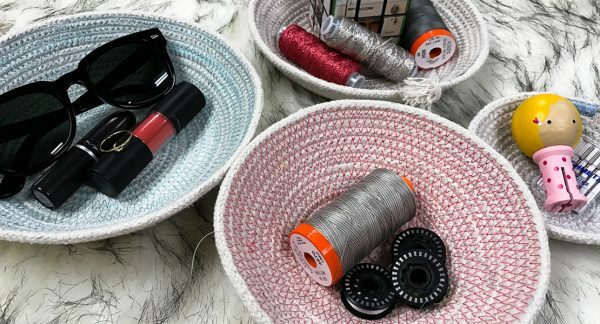 Choose favorite fabrics and make a set of these fabric Tidy Trays to hold change, keys, bobbins or sewing notions. 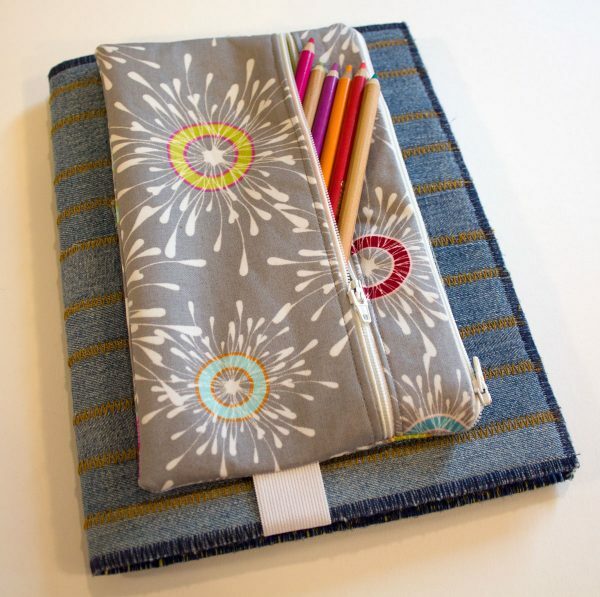 This Two-Pocket Pencil Case is so handy for holding drawing tools on your sketchbook, make up essentials, or even hand sewing supplies. These Holiday Hearts made from the Scandinavian Heart tutorial make great gifts as they are, but the inside pocket is perfect for holding gift cards, sweets, or other tiny presents. 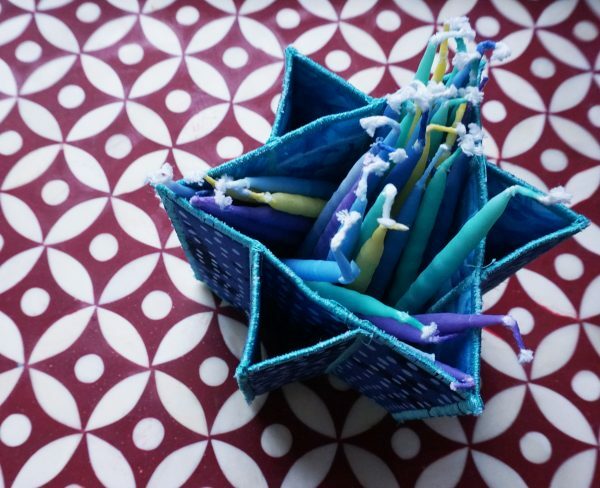 The simple to make Star of David Candle Box is a great gift, and you can make several at a time. You could make this Mini-Basket to hold a special gift, but we think it makes a wonderful gift by itself! 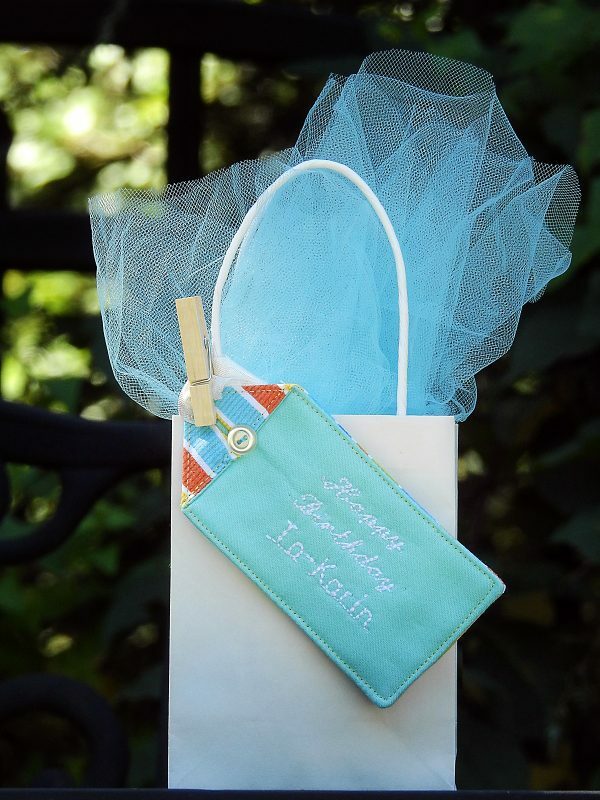 Add a special message or monogram as a personal touch. Give a gift in this handmade Reusable Fabric Wrap with Bow, and part of your gift will live on through holiday seasons to come. 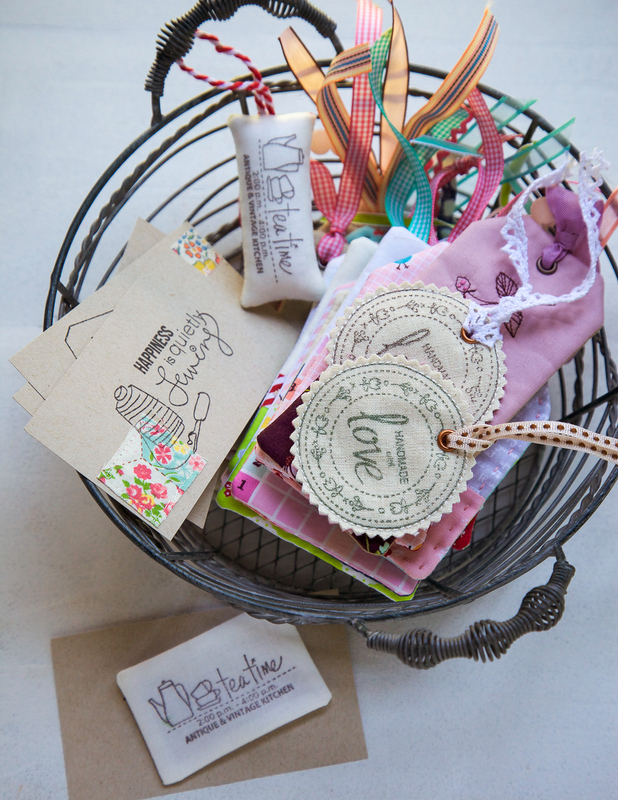 Use lettering stitches or machine embroidery to create a Personalized Gift Tag to top-off your gift package. 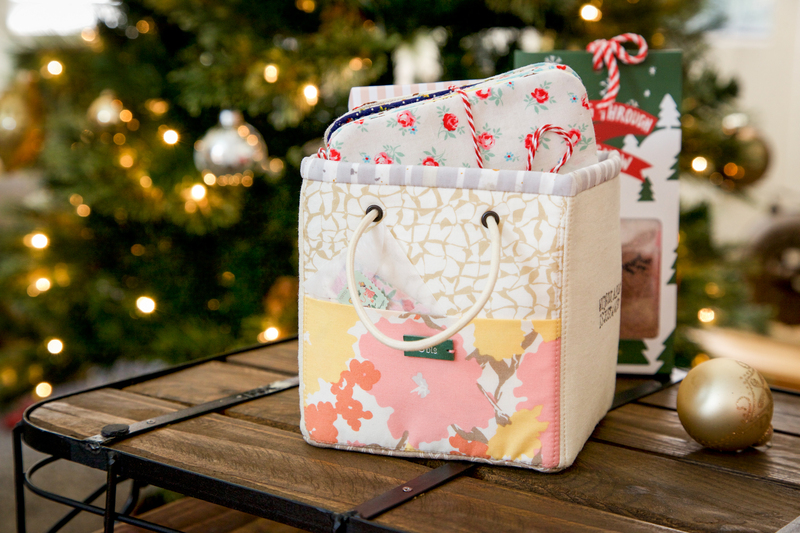 If you don’t have lettering stitches or machine embroidery, learn How to Use Stamps to Make Gift Tags and customize sewing projects. 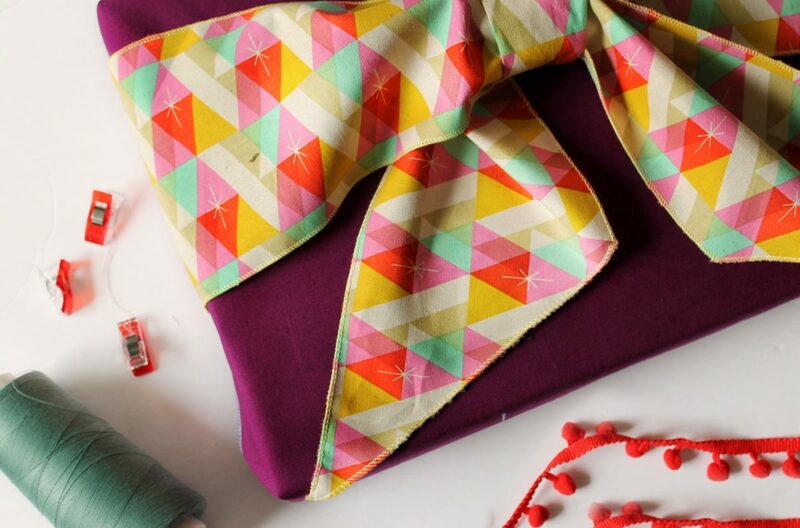 Last but definitely not leas, learn how to add a dressy bow-tie to top-off any wrapped gift using the Fabric Bow Tutorial.